Wisconsin's ONLY Club on Wheels! Earn 20- 50K Part Time! Want to be a Stripper in Wisconsin or Minnesota? Welcome to Wisconsin's Adult Entertainment One Stop Shop! 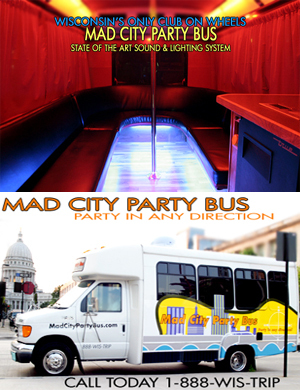 Whether you're looking for strippers, party bus transportation, instructional stripping video, or just want a fun girls night out then EG Entertainment, Inc. is the place for you! We're Bringing the Club to You! !